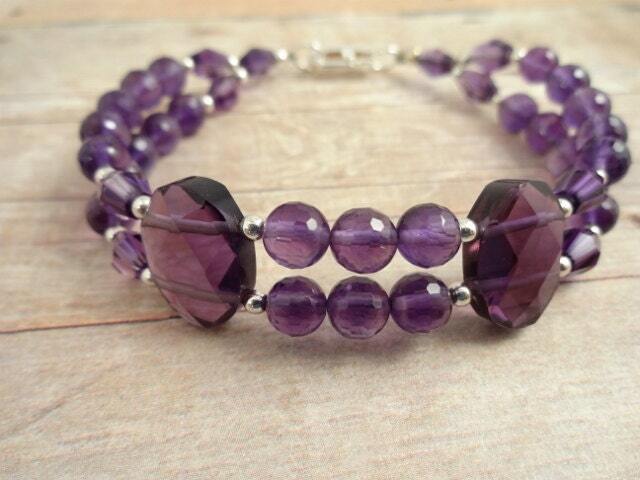 The Amethyst beads in this bracelet are high quality micro faceted 6mm rounds interspersed with faceted bicones. 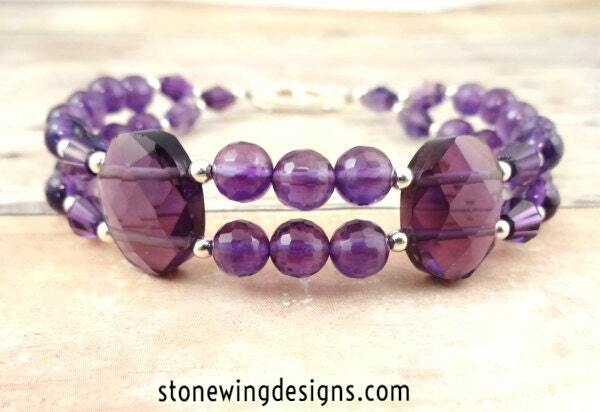 The two large faceted oval 2-hole beads are Purple Quartz, which I believe are man-made glass. 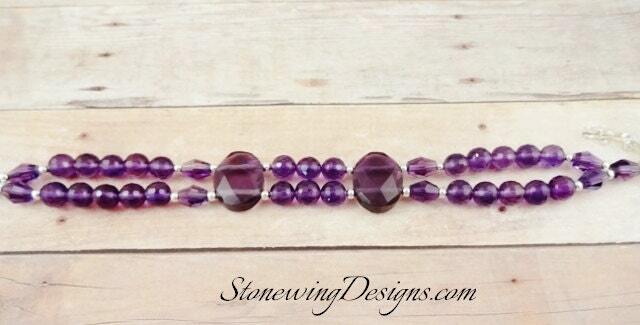 Sterling silver spacer beads give the bracelet a little coolness. 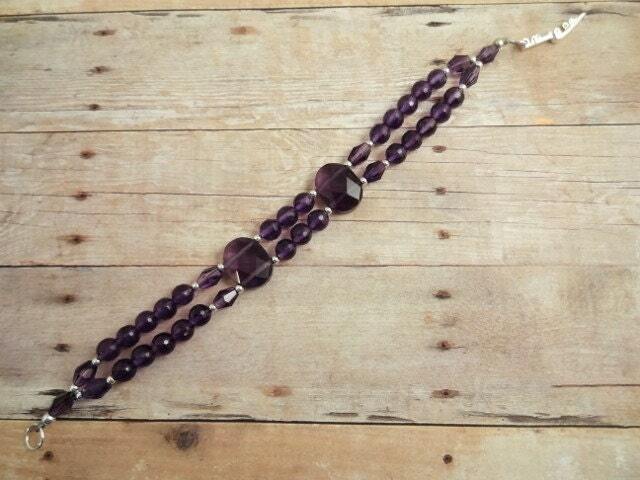 The bracelet ends in large silver jump rings and a silver-plated surgical steel fold-over clasp. 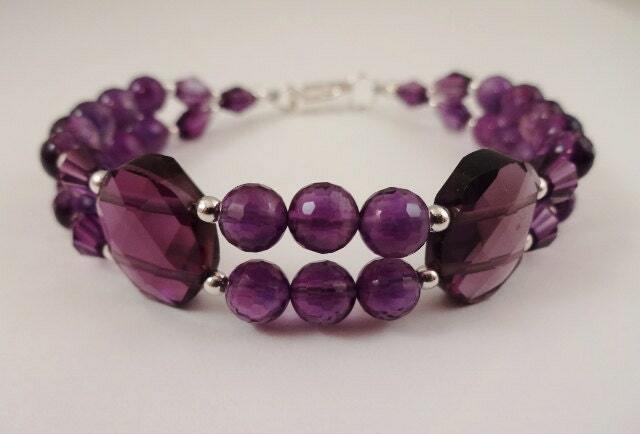 The bracelet will fit a wrist size of 6-3/4 to 7 inches. You'll want to wear it a little on the snug side. Message me if you need a larger size.